For other uses, see Fraternity (disambiguation). 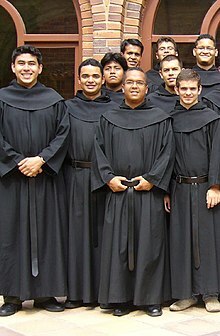 Friar novices in religious habit of the Order of Augustinian Recollects, a religious order of the Catholic Church (2006). A meeting of Freemasons in West Germany (1948). A fraternity (from Latin frater: "brother"; whence, "brotherhood"), or fraternal organization is an organization, society, club or fraternal order traditionally of men associated together for various religious or secular aims. Fraternity in the Western concept developed in the Christian context, notably with the religious orders in the Catholic Church during the Middle Ages. The concept was eventually further extended with medieval confraternities and guilds. In the early modern era, these were followed by fraternal orders such as freemasons and odd fellows, along with gentlemen's clubs, student fraternities, and fraternal service organizations. Members are occasionally referred to as a brother or – usually in religious context – Frater or Friar. Today, connotations of fraternities vary according to context including companionships and brotherhoods dedicated to the religious, intellectual, academic, physical, or social pursuits of its members. 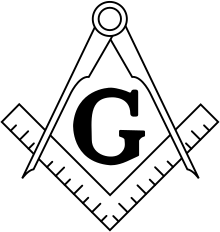 Additionally, in modern times, it sometimes connotes a secret society especially regarding freemasonry, odd fellows, various academic, and student societies. Although membership in fraternities was and mostly still is limited to men, ever since the development of orders of Catholic sisters and nuns in the Middle Ages and henceforth, this is not always the case. There are mixed male and female fraternities and fraternal orders, as well as wholly female religious orders and societies, some of which are known as sororities in North America. Notable modern fraternities or fraternal orders that with time have evolved to more or less permit female members, include some grand lodges operating among freemasons and odd fellows. Blessed Gerard Thom (c. 1040-1120), lay brother in the Benedictine order and founder of the Order of Saint John of Jerusalem after the First Crusade in 1099. There are known fraternal organizations which existed as far back as ancient clan hero and goddess cults of Greek religions and in the Mithraic Mysteries of ancient Rome. The background of the modern world of fraternities can be traced back to the confraternities in the Middle Ages, which were formed as lay organisations affiliated with the Catholic Church. Some were groups of men and women who were endeavoring to ally themselves more closely with the prayer and activity of the church; others were groups of tradesmen, which are more commonly referred to as guilds. These later confraternities evolved into purely secular fraternal societies, while the ones with religious goals continue to be the format of the modern Third Orders affiliated with the mendicant orders. Other yet took the shape as military orders during the Crusades, which later provided inspiration for elements of quite a few modern fraternal orders. The development of modern fraternal orders was especially dynamic in the United States, where the freedom to associate outside governmental regulation is expressly sanctioned in law. There have been hundreds of fraternal organizations in the United States, and at the beginning of the 20th century the number of memberships equaled the number of adult males. (Due to multiple memberships, probably only 50% of adult males belonged to any organizations.) This led to the period being referred to as "the Golden age of fraternalism." In 1944 Arthur M. Schlesinger coined the phrase "a nation of joiners" to refer to the phenomenon. Alexis de Tocqueville also referred to the American reliance on private organization in the 1830s in Democracy in America. There are many attributes that fraternities may or may not have, depending on their structure and purpose. Fraternities can have differing degrees of secrecy, some form of initiation or ceremony marking admission, formal codes of behavior, dress codes disciplinary procedures, very differing amounts of real property and assets. Kraków's Kur Fraternity during the inauguration of Józef Piłsudski Monument in Kraków. The only true distinction between a fraternity and any other form of social organizations is the implication that the members are freely associated as equals for a mutually beneficial purpose rather than because of a religious, governmental, commercial, or familial bond - although there are fraternities dedicated to each of these fields of association. On college campuses, fraternities may be divided into four different groups: social, service, professional, and honorary. Fraternities can be organized for many purposes, including university education, work skills, ethics, ethnicity, religion, politics, charity, chivalry, other standards of personal conduct, asceticism, service, performing arts, family command of territory, and even crime. There is almost always an explicit goal of mutual support, and while there have been fraternal orders for the well-off there have also been many fraternities for those in the lower ranks of society, especially for national or religious minorities. Trade unions also grew out of fraternities such as the Knights of Labor. The ability to organize freely, apart from the institutions of government and religion, was a fundamental part of the establishment of the modern world. In Living the Enlightenment, Margaret C. Jacobs showed that the development of Jurgen Habermas's "public space" in 17th-century Netherlands was closely related to the establishment of lodges of Freemasons. The Syndics of the Drapers' Guild by Rembrandt, 1662. The development of fraternities in England can be traced from guilds that emerged as the forerunners of trade unions and friendly societies. These guilds were set up to protect and care for their members at a time when there was no welfare state, trade unions or universal health care. Various secret signs and handshakes were created to serve as proof of their membership allowing them to visit guilds in distant places that are associated with the guild they belong. Over the next 300 years or so, the idea of "ordinary" people joining together to improve their situation met with varying degrees of opposition (and persecution) from "People in Power", depending on whether they[clarification needed] were seen as a source of revenue (taxes) or a threat to their power. When Henry VIII broke from the Roman Catholic Church, he viewed the guilds as supporters of the Pope, and in 1545 expropriated them. Later, Elizabeth I appropriated apprenticeships away from guilds,[clarification needed] and by the end of her reign most guilds had been suppressed. The suppression of these trade guilds removed an important form of social and financial support from ordinary men and women. Square and Compasses of Freemasonry. In London and other major cities, some Guilds (like the Freemasons and the Odd Fellows) survived by adapting their roles to a social support function. Eventually, these groups evolved in the early 18th century into more philosophical organizations focused on brotherly love and ethical living, with some elements inspired by organisations such as chivalric orders. Among guilds that became prosperous are the Freemasons, Odd Fellows and Foresters. By joining a fraternity, networking becomes a key factor to pushing a member towards success. With alumni members; who have previously been active but graduated at an earlier time, connections offered by them are endless. Depending on the individuals interest and common goals; Networking is a big part of the different types of Fraternities (ex: Social, Business, Religious, etc.). The German Student Corps are known for practicing their tradition of engaging in academic fencing by rules dating back to the 1750s. Fraternities have a history in American colleges and universities and form a major subsection of the whole range of fraternities. In Europe, students were organized in nations and corporations since the beginnings of the modern university in the late medieval period, but the situation can differ greatly by country. In the United States, fraternities in colleges date to the 1770s but did not fully assume an established pattern until the 1820s. Many were strongly influenced by the patterns set by Freemasonry. The main difference between the older European organizations and the American organizations is that the American student societies virtually always include initiations, the formal use of symbolism, and a lodge-based organizational structure (chapters). The oldest active social American college fraternity is the Kappa Alpha Society founded in 1825 at Union College. Sigma Phi Society (1827) and Delta Phi Fraternity (1827) were founded at the same school and comprise the Union Triad. 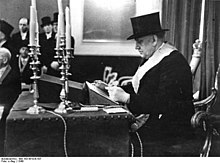 In Germany the German Student Corps are the oldest academic fraternities. Twenty-eight were founded in the 18th century and two of them still exist. Most of their traditions have not changed much for the past two centuries. These traditions include academic fencing duels with sharp blades while wearing only eye and neck protection, or regular hunting events, as can be seen in examples such as Corps Hubertia Freiburg, Corps Palatia Munich, Corps Rhenania Heidelberg, or Corps Altsachsen Dresden. At Swedish universities, especially those of Uppsala and Lund, students have organized in nations since the 16th century. These organizations are open to all students who wish to join. Parallel to the nations both Uppsala and Lund play host to a large number of university related secret societies, for both students and older academics. In September 2014, Wesleyan University in America ordered all fraternities with on-campus housing to become co-educational within the next three years. ^ "Fraternity". Oxford Dictionaries. Retrieved 2 January 2016. ^ "Fraternity". Dictionary.com. Retrieved 2 January 2016. ^ "Fraternity". TheFreeDictionary.com. Retrieved 2 January 2016. ^ "Fraternal orders". TheFreeDictionary.com. Retrieved 2 January 2016. ^ "Mendicant movement - 01 - St Augustine of Hippo - Order of St Augustine". Archived from the original on 2016-03-03. ^ a b "Code of Canon Law - IntraText". ^ "A Flight to Domesticity? Making a Home in the Gentlemen's Clubs of London, 1880–1914". Journal of British Studies. Cambridge Journals. Retrieved 2 January 2016. ^ "Club Talk: Gossip, Masculinity and Oral Communities in Late Nineteenth-Century London". Gender. 21 (1): 86–106. doi:10.1111/j.1468-0424.2009.01536.x. ^ "The Universities of Europe in the Middle Ages: Salerno. Bologna. Paris". Retrieved 2 January 2016. ^ "Our Sunday Visitor Catholic Publishing Company > My Faith > Everyday Catholic > Catholic Dictionary". Retrieved 2 January 2016. ^ "What Is Freemasonry". Alberta: Masonic Higher Education Bursary Fund. Retrieved 2 January 2016. ^ "Adventure in Friendship: A History of The National Panhellenic Conference" (PDF). National Panhellenic Conference. 2012. Retrieved January 22, 2017. ^ "Welcome on the website of the Grand Orient de France !". Archived from the original on 23 January 2010. Retrieved 2 January 2016. ^ "Introduction". Archived from the original on 17 July 2011. Retrieved 2 January 2016. ^ a b c d Stevens, Albert C. (1907). Cyclopedia of Fraternities: A Compilation of Existing Authentic Information and the Results of Original Investigation as to the Origin, Derivation, Founders, Development, Aims, Emblems, Character, and Personnel of More Than Six Hundred Secret Societies in the United States. E. B. Treat and Company. ^ Schlesinger, Arthur M. (October 1944). "Biography of a Nation of Joiners". American Historical Review. Washington, D.C.: American Historical Association. L (1): 1. doi:10.2307/1843565. ^ Jacob, Margaret C. (1991). Living the Enlightenment: Freemasonry and Politics in Eighteenth-Century Europe. New York, New York: Oxford University Press. ^ Klimczuk, Stephen & Warner, Gerald. "Secret Places, Hidden Sanctuaries: Uncovering Mysterious Sites, Symbols, and Societies". Sterling Publishing, 2009, New York and London. ISBN 9781402762079. pp. 212-232 ("University Secret Societies and Dueling Corps"). ^ "Wesleyan Fraternities Ordered To Go Coed". cbslocal.com. Look up fraternity in Wiktionary, the free dictionary. Wikimedia Commons has media related to Fraternal organizations. This page was last edited on 22 April 2019, at 20:42 (UTC).